DENVER – In advance of a hearing on Senate Bill 188, the paid family leave bill, in the Senate Finance Committee today, the Colorado Chamber of Commerce released a list of public and private entities opposed to the bill as amended. Note: This will be updated as the list continues to grow (last updated April 17, 2019). 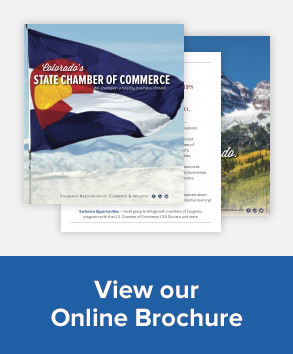 CO Springs Chamber & Economic Dev. Corp.